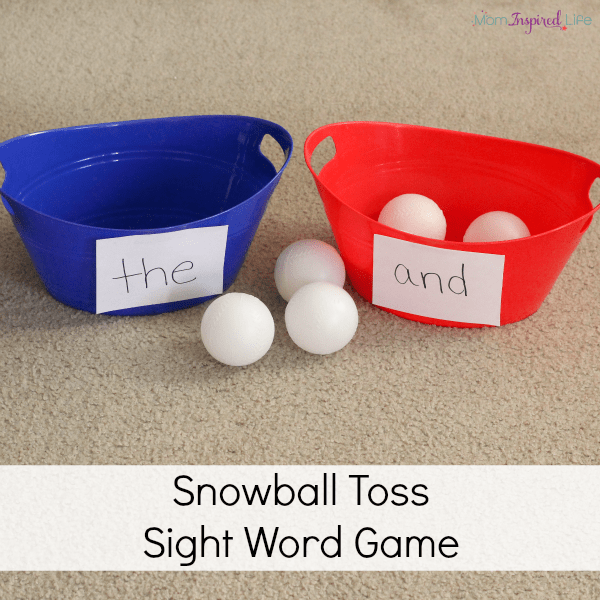 This snowball toss sight word game is a fun, active and engaging way for kids to learn sight words. 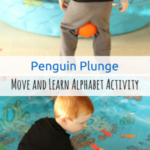 It’s a gross motor literacy activity that is sure to be a hit with your kids! 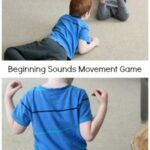 My son is almost always excited when I combine learning and gross motor movement. This game was no exception. 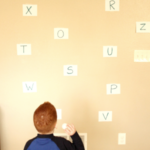 He totally enjoyed it and he really did learn the sight words. It was so simple, but the impact was huge! 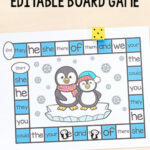 Write the sight words you are using on a small piece of paper. Tape one paper to each bucket. Place the buckets on the ground and put the balls in a pile nearby. 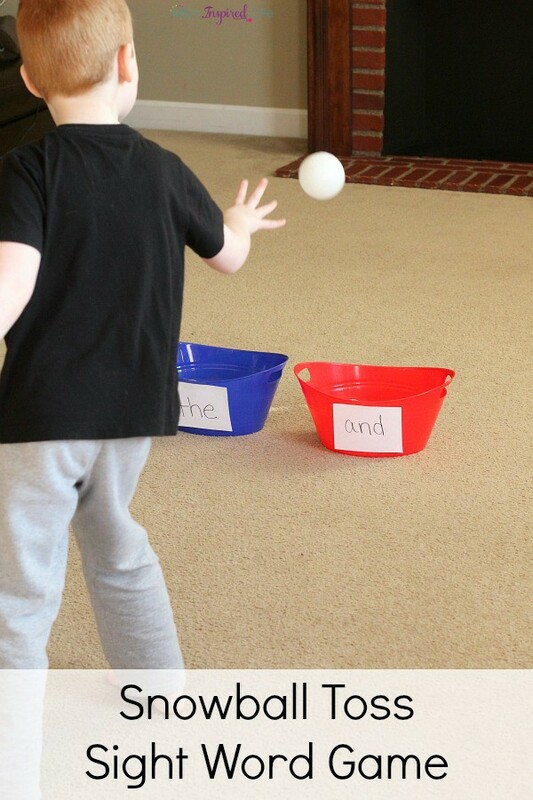 I instructed Evan to pick up a ball and wait for me to call out a sight word. When I called out a word, he had to decide which bucket to throw the ball into. I didn’t do them in order back and forth because I didn’t want him to know which word I was going to call and simply throw it the bucket without reading the word. So I was very random in calling out words. I think it would be even better to use buckets of the same color, so that it isn’t obvious which word belongs to which color. I plan on picking up another blue bucket this weekend. You could also add a third bucket to increase the difficulty a bit. 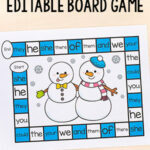 Choose any words that your child needs practice with. You could even do this with letters or numbers. 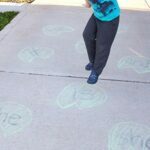 I love that this is a quick and easy way to practice sight words. 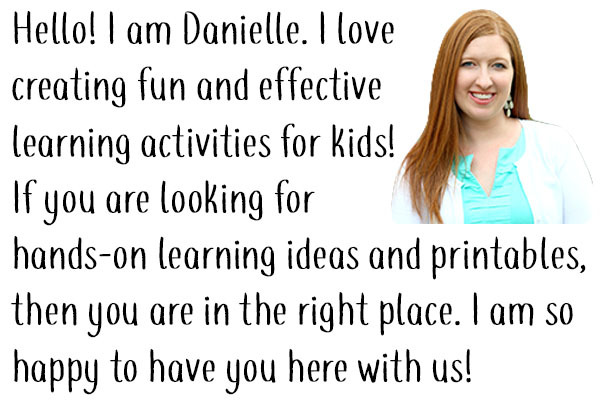 Spend as little or as much time as your child will play and have lots of fun too! 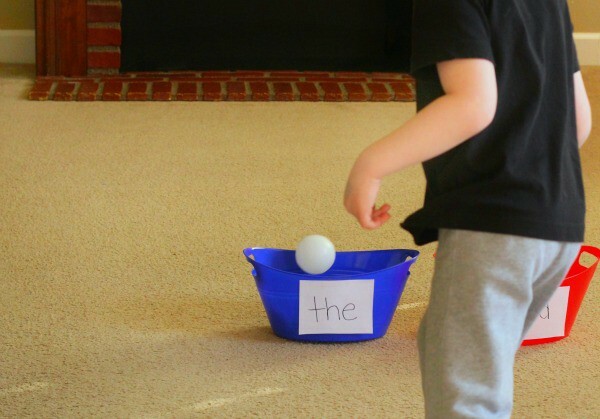 Here are some more sight word activities I think you will enjoy!